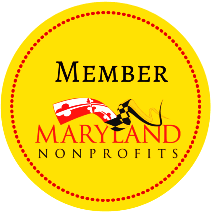 Background: Nonprofit Risk Management Center, Washington, D.C., area nonprofit organization, holds an annual conference in a different location every year. Problem: The organization wanted a bright, attention-grabbing design to attract sponsors and attendees. Although the location for the summit was in Texas, they wanted to avoid any Texan clichés (horses, round-up, cowboys, etc.). Solution: Our design uses a warm yet vibrant color scheme while incorporating casual artistic and musical elements to represent Austin’s eclectic live-music scene.